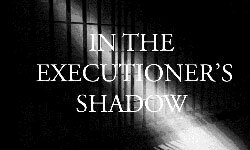 Mr. Thompson, a 30 year veteran of the military, law enforcement and corrections, wrote “What I learned from executing two men”, which was published in the New York Times, the largest circulation newspaper in America, on September 18th. The reaction to that article, and the opportunities to speak to governors, senators and legislators from across the country, has had great impact. Salem – Keizer area residents can hear his powerful message at the event sponsored by Oregonians for Alternatives to the Death Penalty. A simple soup supper will be served, starting at 6PM on Monday October 17th. Admission is only $15 and seating is limited. Tickets can be secured by calling (503) 990-7060 or purchased through PayPal using the button below.